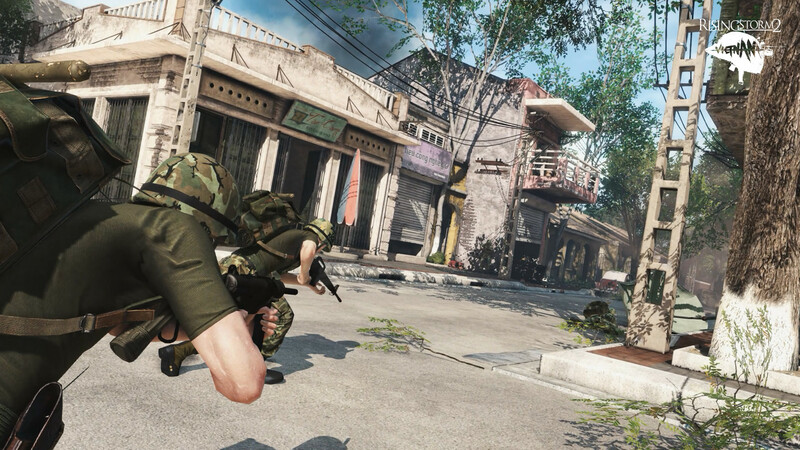 Fans of realistic multiplayer shooters certainly have Rising Storm 2: Vietnam on their radar. The sequel to 2013’s Rising Storm, an expansion pack to Red Orchestra 2: Heroes of Stalingrad developed by Tripwire Interactive in conjunction with the modding community. Those modders have now founded Antimatter Games, the studio that’s developing Rising Storm 2: Vietnam with the support of Tripwire Interactive and Iceberg Interactive for publishing. The game is now in closed beta and we’re happy to offer eighty beta codes to you via the raffle contest below. Since this beta phase ends on March 22nd, we’ll speed up the contest and provide codes to the winners in just two days, so make sure to enter the contest immediately if you’re interested. The good news is that these codes will also grant you access to the final closed beta test, taking place from April 5 to April 12. By the way, there’s no embargo on the beta tests which means that you’re free to post impressions and capture screenshots/videos to upload on the Web. Our Jorge sat with Jared Creasy, Community Manager at Tripwire Interactive, at PAX East 2017 to learn more about the game. Check out the full interview below. Wccftech: Tell us what’s going in Rising Storm 2: Vietnam. Creasy: Rising Storm itself started as an expansion to one of our previous titles, Red Orchestra 2, which is the successor to our Eastern Front World War 2 shooter which pit the Russians against Germans in the cold winters of Stalingrad. In Rising Storm, we took to the jungles with US vs the Japanese. We wanted to expand upon commander abilities and the asymmetrical combat in Rising Storm 2. When were trying to figure out different places we could do that. Why not take a franchise out of the World War 2 experience? We stuck with the Rising Storm name and brought it to Vietnam. A jungle, a new time. Wccftech: What I found interesting is that both sides of the conflict real-life approached the fight differently, how are you portraying that in Rising Storm 2: Vietnam? Creasy: As far small-arms are concerned, both sides weren’t that far apart. We are making sure that sounds of warfare are authentic. The Vietcong, for example, make less noise when they walk through the jungle since they are more familiar with the surroundings than the Americans who are a lot louder. The Americans, on the other hand, bring the ‘steel rain’ with their spooky gunships. They have helicopters and call in air-support. At a glance, it’s clear that they have all the advantages and it’s much easier to play as the American forces. Then when you start playing as the NVA or VC, things are a bit different. They are about showing up in strange places unexpected and using that to their advantage. The Americans spawn around their squad leaders, which is something we enhanced in this version to incentivize players to work together. The VC use squad tunnels which they can place nearly anywhere on the map so long as the US forces don’t discover and destroy these tunnels. Wccftech: How do these tunnels work? Creasy: They are placeable by the leaders of the VC. So good leaders will always a spot close enough to the fight but not obvious enough to be discovered. Wccftech: Authenticity and realism have always been important for the series. What sort of reference materials did you consult to ensure you have a pretty accurate and realistic Vietnam-era game? Creasy: I don’t remember the size of our historical archive these days but last I looked we had over 7 terabytes of reference material from not just the Vietnam War but other conflicts as well. We also have blueprints of tanks to field manuals of certain weapons. We even have battlefield plans and anything else we can get our hands on. Once we knew we were doing Vietnam, we’ve taken a look at every book and movie we could find. Wccftech: Is it just Platoon on a loop at the office? Creasy: Pretty much! (Laughs) That’s something we brought up on our panel. There are two different expectations, what’s more authentic and realistic to Vietnam? And what’s authentic to the players’ expectation from seeing movies and games? Wccftech: Do you find it difficult to strike a balance from making a game that realistic and authentic with also making a game that’s also fun to play since realism and fun don’t go hand and hand too often? Creasy: One of our key tenants with the Red Orchestra franchise even when it was just a mod was always ‘realism to the point of it not being fun.’ Where that line is for every single person is different and it’s a line we draw internally and we’ve redrawn numerous times. It’s a challenge but one of the things we say with Rising Storm was someone would play for 2 hours and it would either click with them and they get it. They would die a lot but understand what they did wrong and why they are failing and figure a way to overcome. Others would play it for 2 hours and say ‘I don’t get it. Why am I failing? I don’t understand why this is happening?’ and move on to something else. 11% percent of our beta testers are new to our games while the others are franchise veterans. People have asked why not just limit the access to veterans? We don’t want to change the game for that 11% but we want to know what were the biggest issues they had that they could not enjoy the game with everyone else. We want to know why they deflect off to a different game and if there is something we can do to potentially retain them or even improvement the experience for everyone. Wccftech: What sort of feedback did your team find especially useful when doing the beta? Creasy: A lot of our feedback came down to our messaging and how we messaged certain things to players. There are a lot of things franchise veterans will know how to do because they’ve played our games before. Especially when we introduce a new mechanic, veterans picked up on easily because it’s close to something we’ve done in the past. There are new players to whom even core mechanics aren’t messaged to them. For example, in Red Orchestra we have grenade cooking which isn’t unique to just that game. We’ve always known that you pull the pin, count to three and throw. We realized that telling how to use a grenade is nowhere in the game. One thing we’ve got in Rising Storm 2: Vietnam is Commander voice callouts that will remind players to stay on the objective. Commanders have special abilities that are only effective when your squad is together and on task. Wccftech: Is there an incentive for working as a team since you’ll always have that one lone wolf who thinks he knows better than his commander? Creasy: The squad system is really geared on people working together more than anything else. Squads that work with a good commander who’s calling airstrikes and providing a good area of denial for the opposition. Teamwork is really overpowered in this game so that should be what motivates you to work as a team. If you want to win, you need to work with your commander. Wccftech: Can you shed some light on the two new game modes you announced? Creasy: Supremacy is one our newest modes. Our traditional territory mode has been around since Red Orchestra which very linear in nature. Supremacy is more free-form but also have some meta-strategy layer on top of it. Each team starts with a homebase and there are various points to capture out in the field each that linked to each other. Linked bases give you points to control the map. You’ll see sneaky VC teams come in and try to break the links. So even if you control a lot of the map, it’s meaningless because the bases aren’t linked to score any points. Americans can also land a helicopter and break the lines if the VC start to dominate on the map. Wccftech: The VC don’t have helicopters? Creasy: Technically, they did in the war but the North Vietnamese knew if they ever flew them south of the border, they would be shot down. They knew what their advantages were and air superiority was not one of them. Wccftech: So what would a VC player do when they see a helicopter? Creasy: Machines guns and RPGs work really well against helicopters. You’d be surprised how effective small-arms fire does against a chopper since they aren’t armored. Helicopters generally need to find a place or a clearing to land. Smart VCs will know where these points are and use them to their advantage. The other mode is Skirmish. It’s an 8v8 close-quarters tight-knit fight. Both teams start with two minutes of unlimited respawns and jockey for position on the battlefield. After two minutes, respawns get turned off and it turns into an elimination. There is a trick there, there are three objectives in the world. If your team captures them it’ll add respawn to your counter if they get locked out of their timer. This leads to really good strategic battles and I know clans will get a big kick out of it. I know that the beta community seems to really like the mode. Wccftech: Any plans for a console release? Creasy: Currently, no. It’s of interest. We have reasons to believe it wouldn’t work just because of the complexity of the controls along with performance concerns. It’s something we will look into. 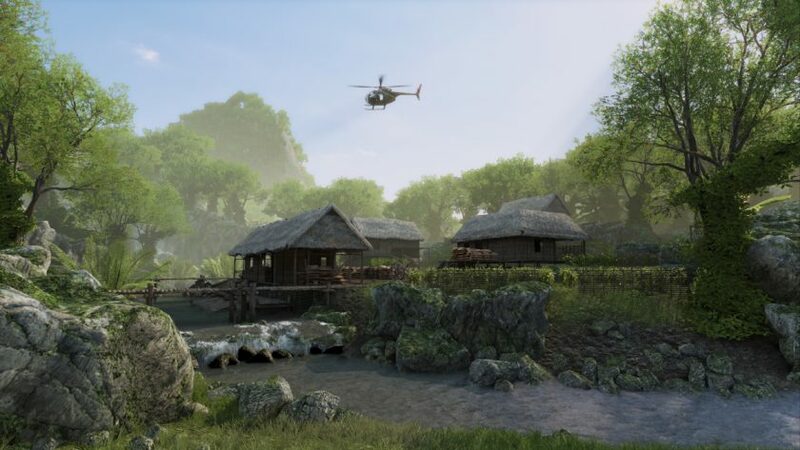 Wccftech: Any parting words for anyone you wants to check out Rising Storm 2: Vietnam but might feel a little too intimidated to dive in? Creasy: We’ve got an open beta for Rising Storm 2: Vietnam coming later this year. Just stay tuned, you’ll have a chance to play it. If you figure it’s not for you, we would still love to hear your feedback.